Welcome to CV Inspections, owned and operated by husband and wife team Chris and Valerie Flannery. If you’re looking for home inspectors who are knowledgeable, experienced, and dedicated to helping clients through the stressful home buying process, then you’ve come to the right place. We offer next-day home inspection services whenever possible, and same-day reports, so give us a call today to check our availability and set up your appointment. 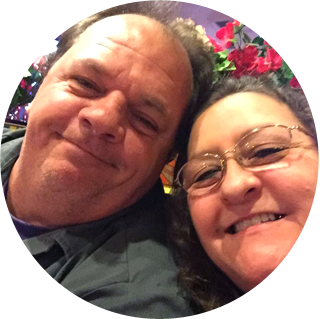 Welcome to CV Inspections, owned and operated by husband and wife team Chris and Valerie Flannery. If you’re looking for home inspectors who are knowledgeable, experienced, and dedicated to helping clients through the stressful home buying process, then you’ve come to the right place. We offer next-day home inspection services whenever possible, so give us a call today to check our availability and set up your appointment. A lot of buyers feel pressure to use the home inspector recommended to them by their realtor. At CV Inspections, we want you to know that the right inspector for the job is the inspector you trust. We work for our clients, so home buyers can trust that the information we provide about the home is unbiased and completely honest. The information you receive during and after your inspection will help you determine whether to move forward with your purchase and what repairs should be addressed to save you the most money in the long run. These decisions are important, so choose the trustworthy inspectors at CV Inspection to help guide you through them. 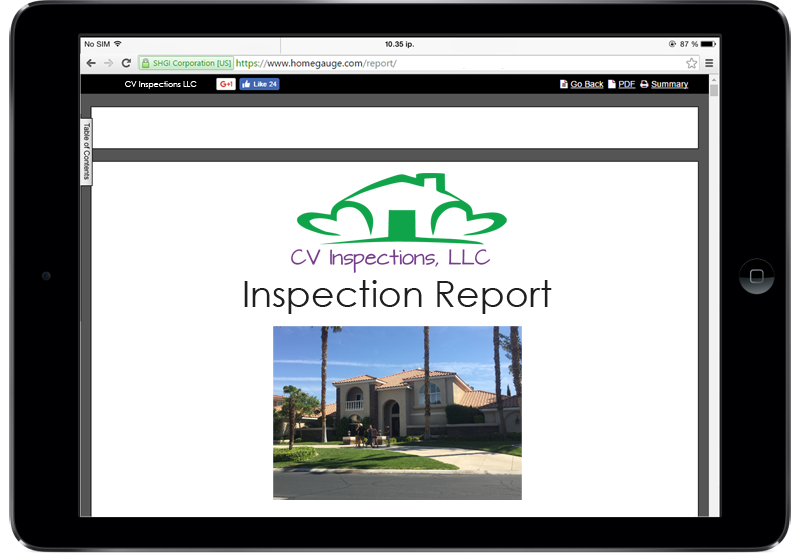 Our home inspection reports are generated using HomeGauge Software and delivered to clients the same day as inspection whenever possible. Full of helpful photos and necessary video, this report helps buyers fully understand the property and make wise decisions moving forward. Call us anytime after the inspection is over with your questions. 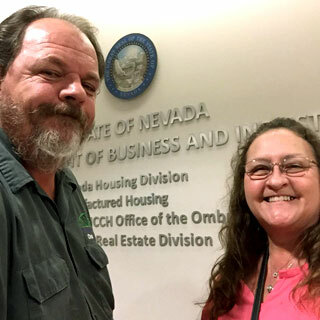 Schedule a comprehensive home inspection in Clark County, Nevada. Contact us to learn more about our discounts for military, first-responders, and repeat clients.